John Whatley and Terry Gilbreath are the managing principals for Personal Systems Services, Inc. They are also the primary providers for PSSI’s project and service offerings. Their years of exemplary service and experience are rarely found in the computer industry today. John spent 25 years with IBM in marketing, technical support, and management before starting PSSI in 1992. 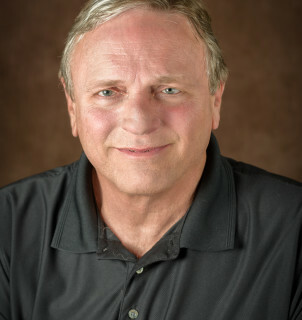 Terry spent 30 years with AT&T in projects, technical support, and management before starting computer consulting in 1993. John brings a rare depth of computer experience to his clients after working more than 20 years with personal computers. He has in-depth expertise with most PC hardware and system software, with emphasis on PC Local Area Networks. He specializes in connectivity to mainframe and mid-range computers, LAN to LAN, and internet access. His experience includes installing and troubleshooting PCs, both hardware and software. He has been recognized as a national expert on LANs including all of its component parts. He has been in demand to develop and teach computer networking courses starting before education or certification programs were generally available. John started IBM’s National Support Center for K-12 school districts. The support and training systems he developed and the foundation he laid evolved into the IBM support system for over one million networked PCs in the years that followed. John excels at managing technical people. He has been Project Manager and team leader on a variety of technical jobs, starting with the first installation in the nation of over 600 networked PCs in 30 different geographic locations. After leaving IBM, John started his own computer consulting business in 1992 specializing in computer networks and Microsoft Windows. With his years of experience, he has expertise in legacy PCs as well as the latest technology. His latest skills include Windows 10 or earlier, Server 2012 or earlier, high speed networks, disaster recovery & continuity, HIPAA compliance, and multi-tenant networks. He is an expert in wireless networks and Internet access. 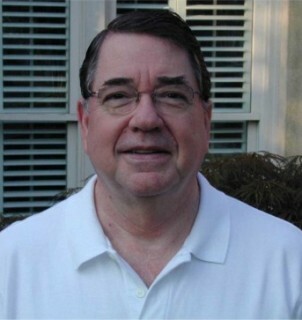 Terry has diversified Project Management experience with end-users and vendors. His exceptionally strong technical skills include problem resolution and management; systems design and implementation; database design development and implementation. He has years of network design, implementation and management experience with networks of all sizes and for a variety of clientele and industries including Government and Airlines. He’s worked extensively with wired and wireless LANs, WANs, VPNs, Intranet, and Internet implementation using Frame Relay, Satellite, and DSL. Terry’s 30 years of service with AT&T and Bell Labs brings to bear valuable experience and includes implementation and production management of Ethernet networks in both Microsoft and UNIX environments. He is an experienced negotiator with local exchange carriers where understanding the provisioning process proves to be invaluable in Wide Area Network (WAN) implementations. Terry is an expert in Business Continuity and Disaster Recovery Planning and has headed up system recovery efforts following a disaster. He managed the design and construction of several data centers for AT&T including their Customer Engineering Center for the Southern Region. There he managed its daily operation. His broad technical experience includes Peer-to-Peer networking, Windows Client / Server, Windows 10 or earlier, Microsoft Server, and various UNIX environments.